It's a special moment when the bride and her father dance together during the wedding reception. Many daughters dream of the time when she transitions formally from daughter to wife. Some brides-to-be want a formal setting for the reception and daddy-daughter dance, while others feel more comfortable with a low-key setting paired with sequined cowboy boots beneath her dress. 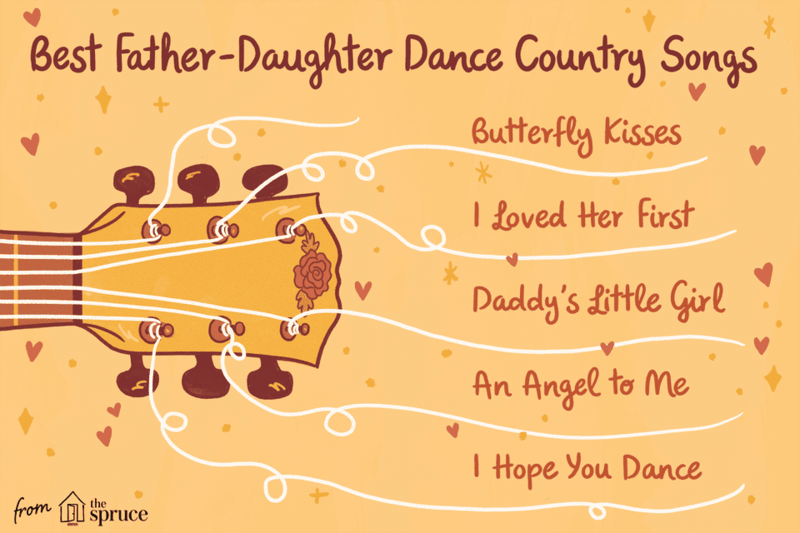 Whether she's having a country-themed wedding or simple enjoys country music, a special western song for the father-daughter wedding dance can make it that more sentimental. 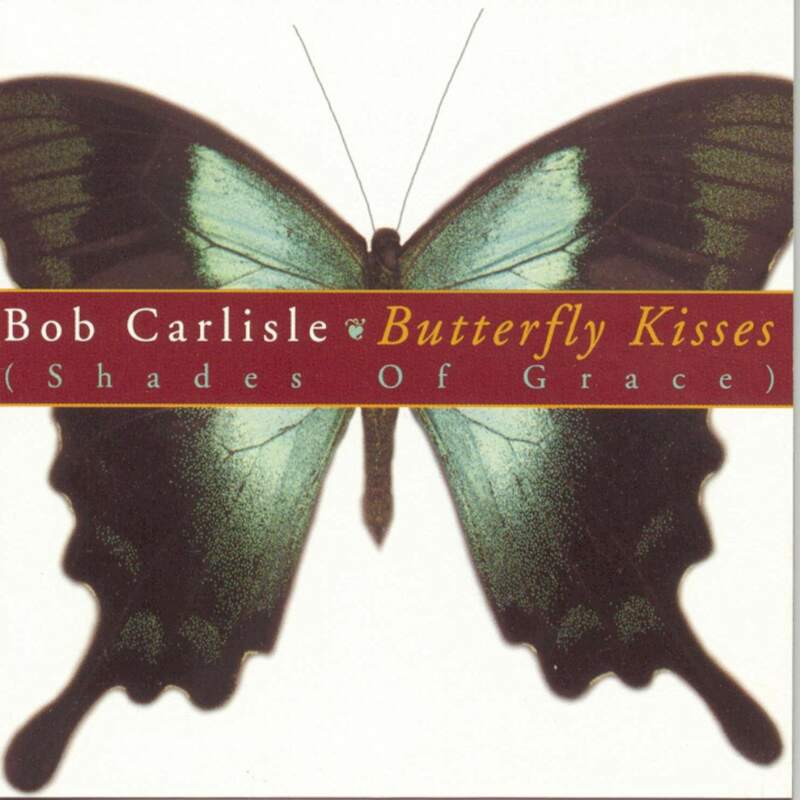 Bob Carlisle's Butterfly Kisses is one of the all-time favorite wedding dance songs available and has a sweet country-swing beat. It reminds us of the times we spent with our daughters at bedtime and in close quarters when they were little. The message is loved by dads and daughters alike, and the tempo makes dancing easy. I Loved Her First is a song by the country and pop group Heartland. This song easily melts hearts as it reminds daughters and fathers about the relationship growing up. Naturally, the song alludes to how dads did "love her first." Stealing Cinderella is a modern country song that makes a great father-daughter wedding dance pick. Chuck Wicks' top country song has a fun beat that's slow enough to dance to together. The memorable lyrics make this one a favorite for the special day. The all-time favorite country artist, Tim McGraw, pours his heart out as he sings about holding his baby girl. His ballad, along with the tempo, makes this an easy and beautiful wedding dance song for sharing a special moment with. This slow and rich country ballad speaks to a father's inspiration for his daughter's success. Lee Ann Womack's I Hope You Dance is a heartfelt song about taking risks in love. If you want goosebumps, this a great choice to dance to. Kippi Brannon's ballad piece is rich and emotional. The song reminisces about the bride's life growing up with her dad, and the time they spent together. Daddy's Little Girl is wedding dance song that will tug right at the heartstrings. Holly Dunn performs this western wedding dance song that takes a walk down memory lane. With a story about a dad and daughter growing up on the farm, this is a great song for rural dads and daughters who rode, milked, planted, and harvested together. This beautiful country wedding dance song was written in 1995 and is performed by Loxsen Morre. The easy country waltz has romantic lyrics to make any daughter and dad remember the sweet and tender moments growing up. Red Sovine was a country singer back when "country was" when Johnny Cash and Conway Twitty were big. If you like the twang of classic country, then you can consider this gem. Although it's upbeat, more skill and energy for your daddy-daughter dance will make it unique.